FREMONT, Calif. — The twin cubesats that played a key role in NASA’s most recent Mars lander mission have been out of contact with the Earth for more than a month, suggesting their trailblazing mission has come to an end. In a Feb. 5 statement, NASA’s Jet Propulsion Laboratory said that it not heard from either of the Mars Cube One, or MarCO, cubesats since the beginning of the year. One, nicknamed WALL-E, last contacted Earth Dec. 29, while the other, Eve, has been silent since Jan. 4. The MarCO spacecraft were 6U cubesats launched in May 2018 as secondary payloads on the Atlas 5 that sent the InSight mission to Mars. 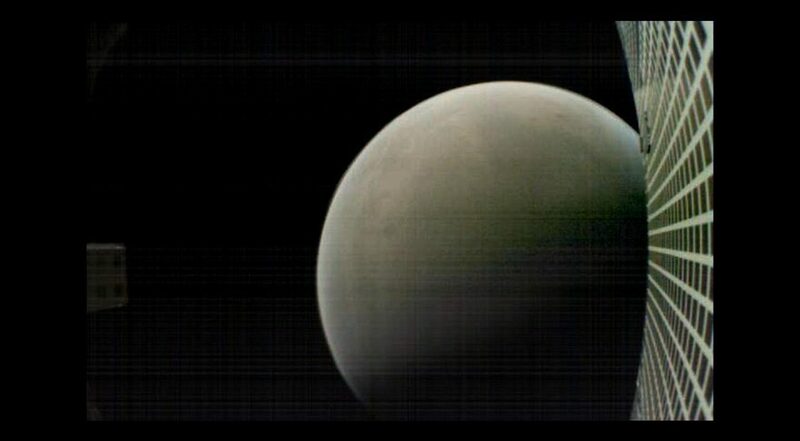 As InSight landed on Mars, the MarCO cubesats flew by the planet, serving as communications relays to allow controllers to get real-time telemetry from InSight as it landed. The spacecraft carried out that prime mission as intended, receiving UHF signals from InSight as it landed and rebroadcasting it back to Earth at X-band frequencies. “MarCO was there to relay information back from InSight in real time, and we did that extraordinarily well,” said Andy Klesh, MarCO chief engineer, at a press conference at JPL immediately after the successful InSight landing Nov. 26. JPL spokesman Andrew Good said Feb. 5 that after the flyby the MarCO cubesats continued to transmit technical data about the performance of their various subsystems, including attitude control, propulsion and communications. “The team was looking at a variety of tests related to performance, including seeing just how long the cubesats were able to survive, which was always a key objective for the mission,” he said. In its statement, JPL said that there were several possible explanations for why the two spacecraft were no longer in contact with the Earth, including problems with sensors used to keep the spacecraft pointed at the sun or problems with their attitude control systems. One of the cubesats, WALL-E, had a leaking thruster. JPL hasn’t ruled out restoring contact with the MarCO cubesats, which are still receding from the sun in their heliocentric orbits but will start to move closer again this summer. JPL said the project will at that point try to restore contact with the cubesats, but acknowledges that “it’s anyone’s guess” if the spacecraft will still be functional then. The success of MarCO provided proof that cubesat-class spacecraft could perform useful missions in deep space. NASA has, in recent years, shown a growing interest in using cubesats for a wide range of science missions, initially in Earth orbit but also potentially elsewhere in the solar system.